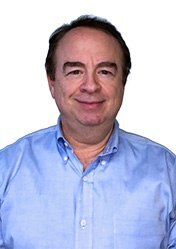 Adam Kollin founded RHK Technology over 30 years ago to develop scientific instruments for the surface science community and since 1988 has focused the company’s resources in the field of Scanning Probe Microscopes. The company has earned a world-wide reputation as a supplier of superior technology and customer support. RHK has grown and thrived due to the ability to attract and retain loyal and highly skilled engineers, scientists, and other staff, many who have been at RHK for over 20 years. The single goal at RHK is to build the best products in the world, and the staff are empowered to invest as much time and energy is required to do that. The institutional knowledge of the staff at RHK is unmatched in the industry.